Well, strawberry season has come and gone again, and Meredith was very busy making all sorts of stuff. There were several evenings where dessert was strawberries and cream, and there was, of course, pie. Meredith took the little guy strawberry picking as well, and he had quite a good time. You can see him surveying the area during coffee break here. The day after the excursion, I read an email with a recipe and was told to get ready to take a photo when I got home. 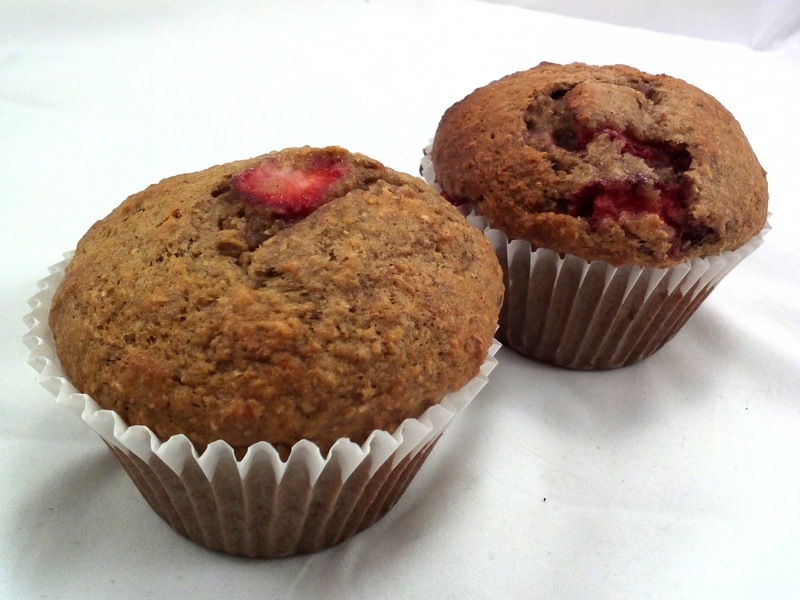 To my delight, I arrived home to some yummy strawberry muffins Meredith had made using whole wheat flour. It's mostly based on a recipe she read earlier that week. Preheat the oven to 375-degrees and line a 12-muffin tin with paper inserts. Using a stand mixer, whisk together the eggs, apple sauce, oil, sugar, vanilla and bananas. In a separate bowl, stir together the flour, baking soda and cinnamon and slowly add to the banana mixture. Stir in the strawberries by hand and spoon batter into muffin cups. Bake for 20 minutes or until a toothpick comes out clean when inserted into the top. That is one cute berry picker. Love the sounds of those muffins. Sounds like a great recipe.